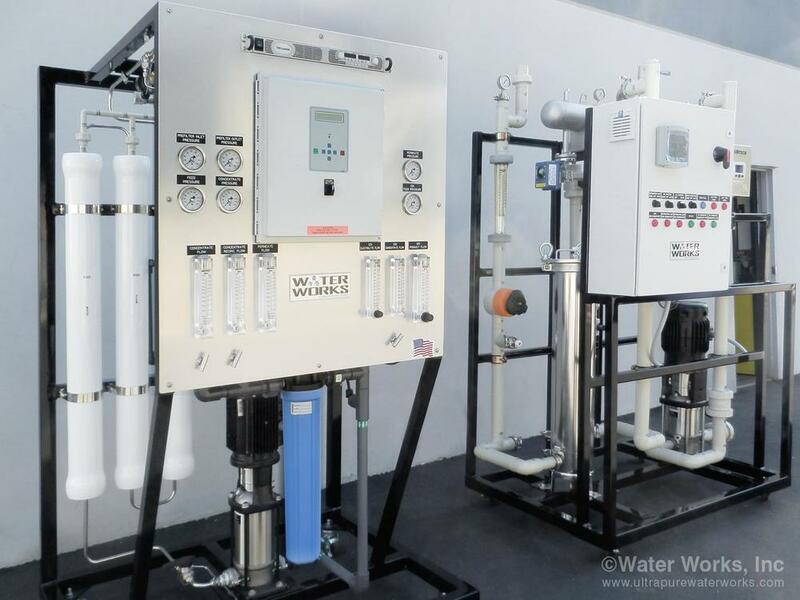 Water Works, Inc (San Diego, CA) announces completion of the installation of new EDI system for a R&D Lab. The new system will support research activities on biologic in the area of hematology/oncology and certain fibroid diseases. Water Works team built an advanced EDI system (designed by CRB Engineers in collaboration with Water Works) that included sanitary heat exchange to cool DI water to 74 degrees and to maintain it at that temperature. The 30 gallons/ min high-efficiency RO + EDI system provides exceptional reliability due to being operated by a PLC based controls at low operational cost. Water Works installed automated PLC based controller to continually regulate water quality.